JOINSIL180 Stone Silicone Sealant is a medium/high modulus, one-component, neutral curing silicone sealant with excellent adhesion to many materials, especially for stone ceramic tiles and concrete component. 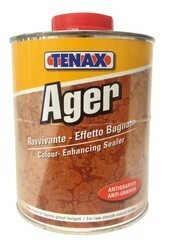 Owing to the efforts of our skilled professionals, we have been constantly engaged in offering a qualitative assortment of Tenax AGER Colour Enhancers. We are providing an excellent quality array of Stone Sealer to our prestigious clients. DiamondCoat Slate & Stone Sealer Natural is a solvent based penetrating treatment that offers a high degree of repellent to most liquids including salt and chlorinated water. Fluro Polymer base Sealer to provide Stain Repellency & Water Repellency to Sandstones, Marble, Bricks, Concrete, Granites etc.